BirdShock Flex Track™ is a very low-profile bird control product system that deters all problem birds including: starlings, pigeons, sparrows, seagulls, etc. 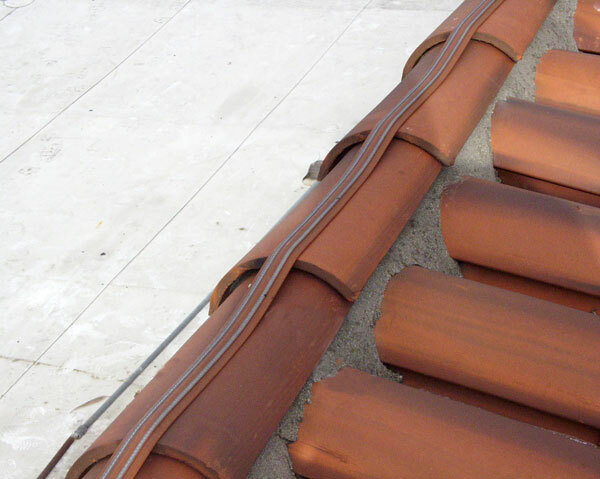 An extremely flexible bird control product, BirdShock electrical bird track conforms to any building, opening, or architectural configuration to control problem birds. BirdShock Flex Track™ bird deterrent is nearly invisible at only 1/4 inch in height and is available in a variety of colors to blend with the structure. BirdShock's low-profile installation solves pest bird problems without unsightly bird deterrent methods. Different connectors are available for "T", straight and corner connections, making this bird control product wonderfully adaptable. 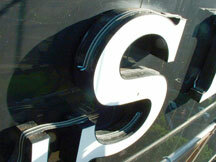 Install BirdShock bird deterrent: In any bird pressure area. On any flat surface where total bird exclusion is necessary with low visibility. Ideal for getting rid of pigeons and other problem birds from ledges; parapets; signs; beams; windows; pipes; etc. Flexibility in track also accommodates bird control for sign letters and curved architecture. 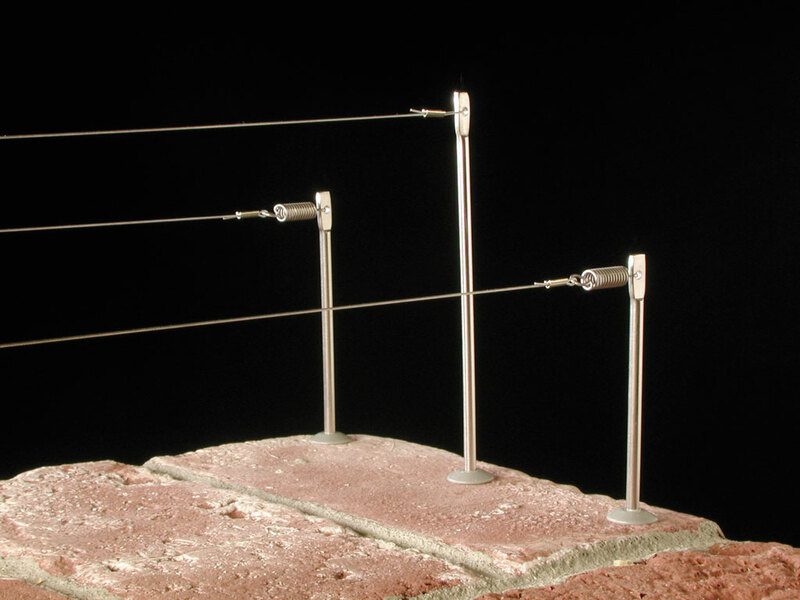 How It Works: BirdShock Flex Track™ bird deterrent uses a harmless, pulsating electrical shock, similar to a static electricity shock, to deter problem birds from roosting and nesting sites. 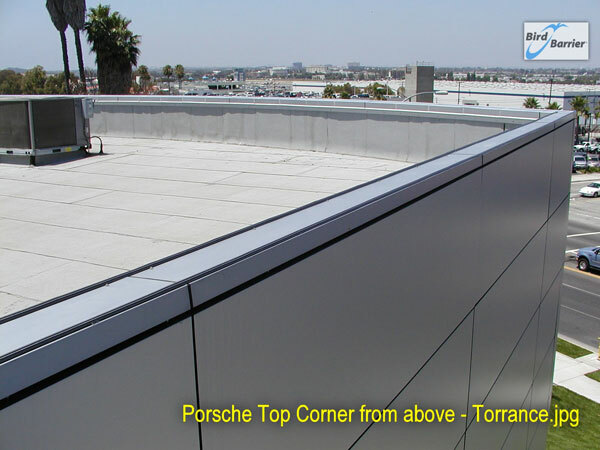 This low-profile bird control product system consists of solar or A.C. powered charger unit, stainless steel components and aesthetically pleasing U.V. stable flexible PVC track available in black, beige, brick red or gray colors (custom colors available by special order in 6 to 8 weeks). BirdShock is easily customized to exclude problem birds like pigeons, sparrows, starling, gulls, crows and more while accommodating demanding architectural specifications. For more information and design options, please contact our office for a free consultation.